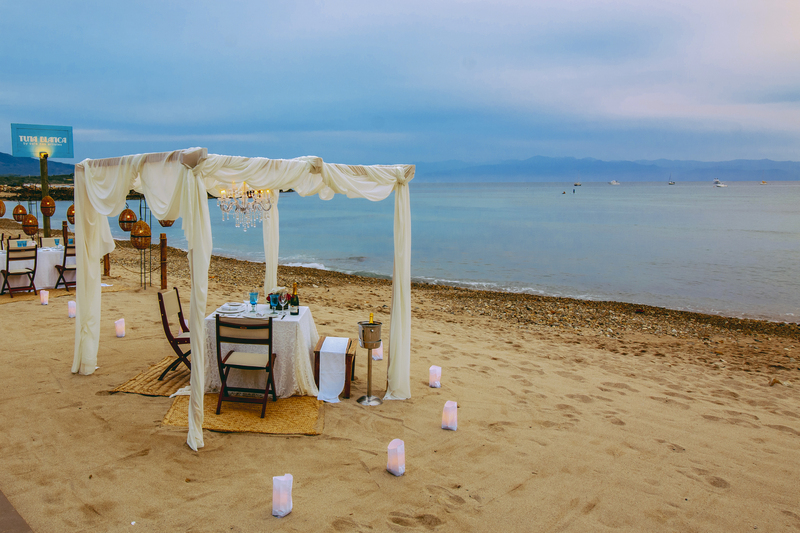 Thanks to its dreamy landscapes, gastronomic offerings as varied as they are exquisite and hundreds of fun-filled activities, Puerto Vallarta and Riviera Nayarit have become favorite destinations for couples from all over the world for weddings, honeymoons and impromptu romantic escapes that will always be among their fondest memories. If you are in our destination and have not yet discovered why this bay is so magical for those in love, we suggest four romantic places and activities to surprise your partner with unforgettable moments, sensations and flavors. 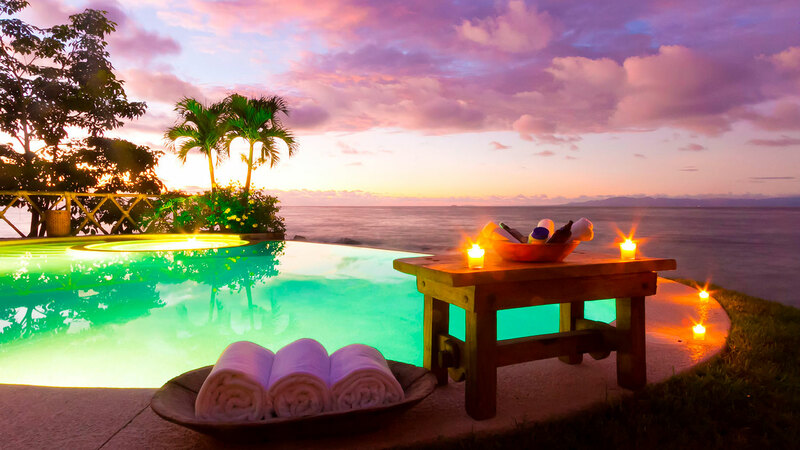 With its privileged location on exclusive Playa Caballo, south of Puerto Vallarta, this adults-only boutique hotel, with luxury accommodations in rustic but very chic villas by the beach or jungle, is a favorite for couples looking for romance. After a day enjoying the beautiful scenery and the beach, visit its incomparable spa, where you can relax with assorted treatments as a couple, including their variety of massages and even the temazcal, which will put you in the right mood for the night ahead. 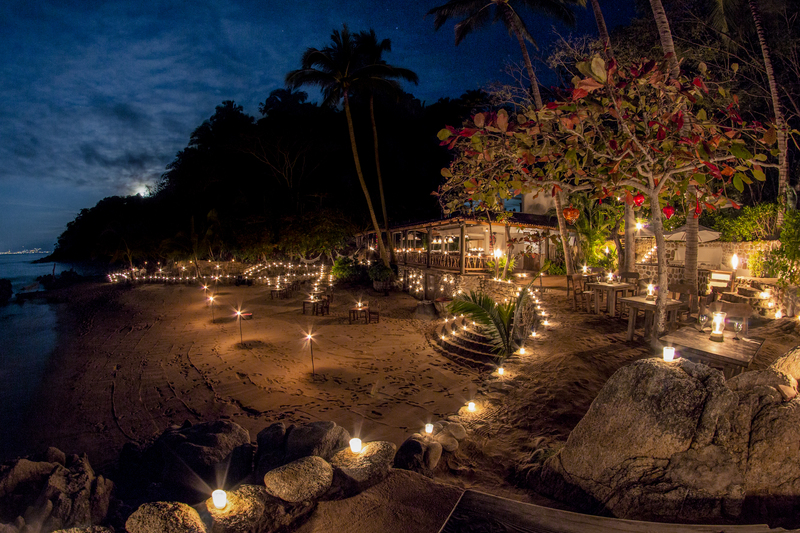 Dine at a table in paradise and savor the exquisite selection of Mexican haute cuisine dishes or enjoy a delicious cocktail at the beach bar, under the light of the moon. End your evening in the comfort of your room in one of the villas ideal for romance. This exciting Vallarta Adventures excursion is a night cruise full of magic, history, fun and, of course, romantic moments. Embark with your partner on a catamaran that takes you along a scenic route where you can enjoy wonderful views of Puerto Vallarta’s Malecón and the bay’s lush South Shore. Witness the sunset in the middle of the sea and enjoy the staff’s singular entertainment until you reach the hidden and intimate Las Caletas Beach, where the real adventure begins. Once night falls, stroll from the beach to the jungle, where a candlelight dinner awaits you, along with one of the city’s best shows, presented on a stage dominated by a pyramid. This captivating performance pays homage to Mexico’s rich cultural heritage and pre-Hispanic folklore. On the return trip, again by sea, enjoy the view of the illuminated bay and the cool breezes, along with a few drinks and the best company. 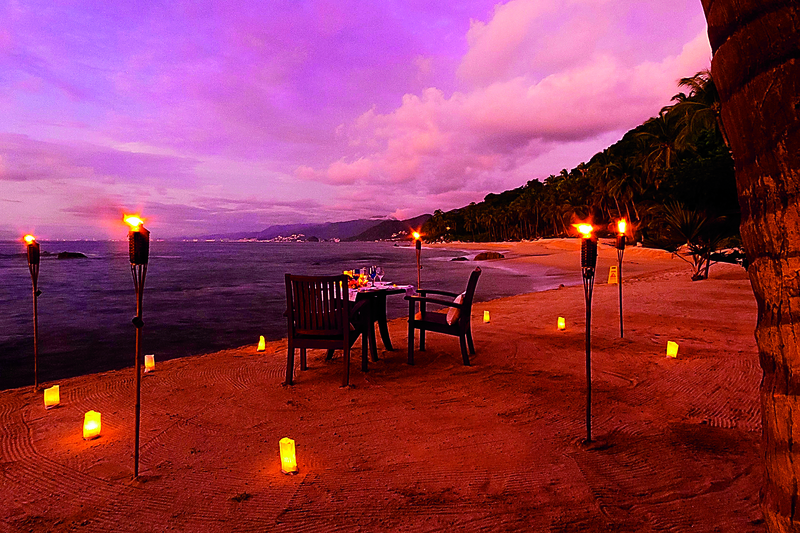 Take your partner to dinner at one of the most elegant and romantic restaurants in the region. Surrounded by the dazzling scenery of Punta de Mita, in an exclusive and delightful seaside atmosphere, share delicious dishes featuring the region’s best products from a select menu designed by renowned chef Thierry Blouet, who was inspired by the flavors of the sea. Its sophisticated atmosphere and casual but chic coastal style are ideal for a romantic evening of conversation, laughter and declarations of love as you delight in its exquisite dishes, such as the famous Tuna Blanca ceviche, suckling pig confit taquitos, marinated tuna steak or temazcal shrimp, along with a good bottle of wine and a dessert to further sweeten this magical evening. 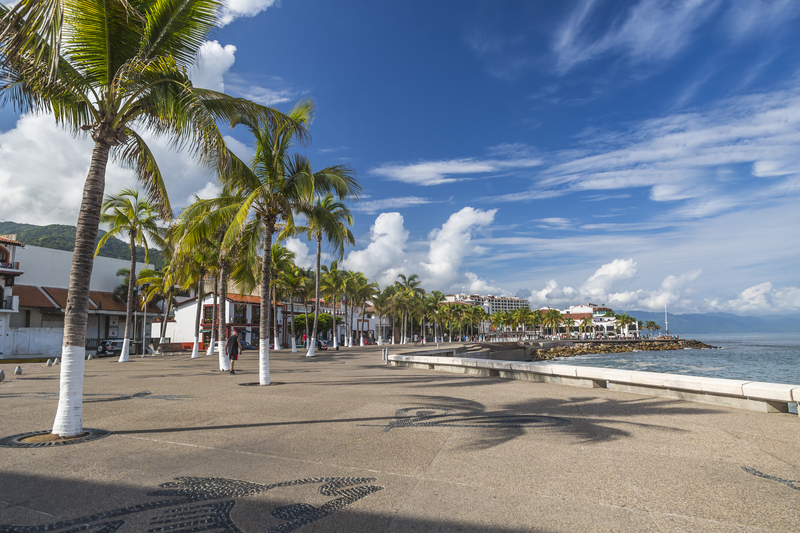 A Puerto Vallarta classic for romance, the Malecón has long been the scene of great love stories, sweet kisses and heartfelt declarations of love for both residents and visitors bewitched by its beautiful attractions, stunning landscapes and hypnotic sunsets. Begin at the Malecón’s northern end as the sky turns shades of pink and orange, to admire the unique sculptures along the way and take selfies with your partner. After admiring El Caballito (the seahorse sculpture) and Los Arcos, stroll across the pedestrian bridge that crosses the Cuale River and marvel at the contrast between the lush greenery and the sand and the sea at its mouth. Here, the large palm trees, beach and increasingly darkening sky create an atmosphere that blends perfectly with the energetic bustle of the nearby oceanfront restaurants, the perfect place to dine under the light of the moon. Farther along on this romantic promenade, you will come upon colorful Los Muertos Pier, where you can view the illuminated and vibrant Romantic Zone, wrapped in your partner’s embrace. To end this enchanted evening, stroll along the streets of Olas Altas and savor a refreshing cocktail on a charming terrace.